The former J. Paul Levesque lumber mill in Masardis will be the first mill in the U.S. for its new owner, Groupe Lebel of Riviere-du-Loup, Quebec. 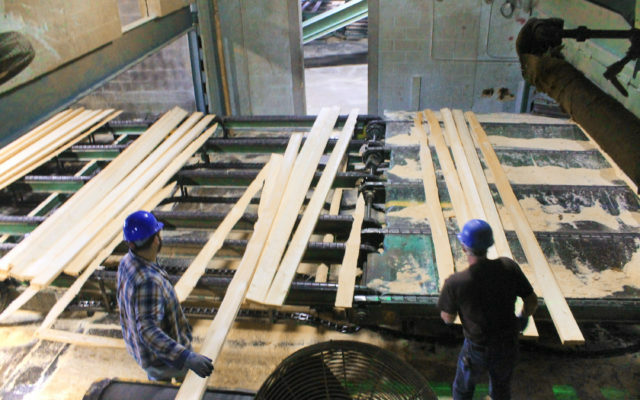 MASARDIS, Maine — The former J. Paul Levesque lumber mill in Masardis will be the first mill in the U.S. for its new owner, Groupe Lebel of Riviere-du-Loup, Quebec. Groupe Lebel also bought another lumber mill in St. Pamphile, a Quebec border town, from Maibec at the same time. Charles Tardif, Maibec’s vice president of corporate development, said that Maibec is exiting the lumber business to focus on exterior siding products. Selling the two sawmills to a company solely focused on lumber made sense, he said, adding that Maibec will still be buying cedar logs from Maine. “Groupe Lebel offered us the best deal and values that were close to ours, a family owned company in the region with a long-term investment view,” Tardiff said. Both Maibec and Groupe Lebel are privately-owned and financial terms of the deal were not disclosed. In a press release, Groupe Lebel CEO Frederic Lebel said that acquiring the two mills is a part of the company’s expansion plans. “We look forward to integrating our new employees into the Lebel Group team. Maibec’s wood factories have a strong management team and the St-Pamphile sawmill is at the cutting edge of technology,” Lebel said. Groupe Lebel has been among the Canadian lumber companies affected by the U.S. government’s countervailing duties on imported lumber this year. The duties have hurt Canadian lumber imports, while boosting lumber prices to historic highs in the U.S.
With the acquisition from Maibec, Groupe Lebel will have its first mill in the U.S. and have nine mills overall, with about 950 employees and a production capacity of 820 million board feet. The two new mills add 315 employees to the company, with more than 140 in Masardis. The Masardis mill was originally built in the 1960s by lumber entrepreneur Jean Paul Levesque, and it now produces more than 100 million board feet of dimensional fir and spruce lumber for East Coast wholesale markets. When Maibec purchased the mill from Fraser Timber in 2015, the U.S. lumber market was “difficult,” Tardiff said. The company made organizational changes and investments in the mill’s equipment and infrastructure, including an automatic grader in its planing mill, which finishes and smooths dried and cut lumber.